Kaizer Chiefs midfielder George Maluleka says there is no goalkeeping crisis at Naturena. Maluleka says the goalkeepers that are available for selection are good enough to stand in for Itumeleng Khune. 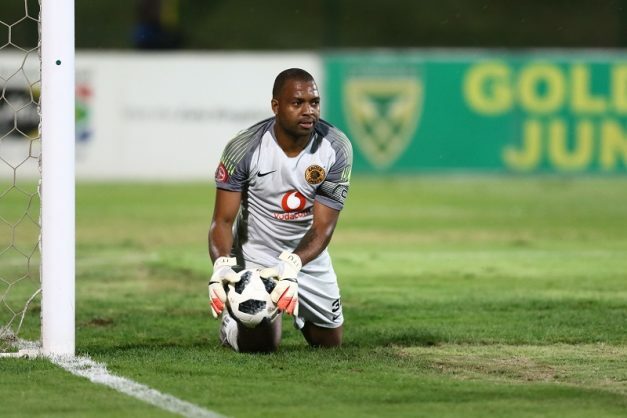 Chiefs have used three of their goalkeepers after Khune was ruled out for the rest of the season with a shoulder injury. Virgil Vries came in when Khune was injured but was quickly replaced by Daniel Akpeyi, who joined Chiefs from Chippa United in January. Both Vries and Akpeyi have made costly errors in goal for Chiefs, but Maluleka says they have quality keepers. “A lot of people say Khune’s injury was a crisis, which I don’t think it was,” Maluleka told reporters. “We have four quality goalkeepers here and maybe it also boils down to who deserves the chance, because they all do very well, train the same and they’re all quality.